I am getting ready to head out to 41 Canrobert St, in Woodstock to open a GREAT starter house. The home would be a perfect start for your family, or a fantastic upgrade. 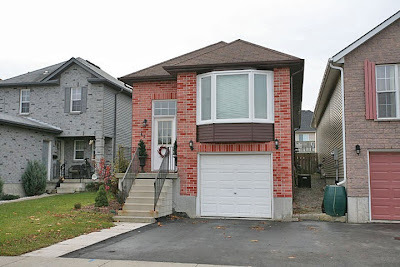 Get out of renting or condo living and enjoy your own detached, well decorated 3 bedroom home with finished basement, a single garage, parking for two cars, a private fenced yard, and a two tiered deck! This move-in-ready home comes with all the appliances too!!! Ive tried emailing you to book a showing for the canrobert property,and it will not work.